By Sadiq Umar – The Islamic Movement in Nigeria (IMN) has released the names of 34 of its members allegedly shot dead by soldiers between October 27 and October 30, 2018. 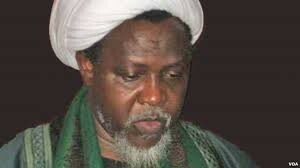 The IMN members otherwise known as Shiites had clashed with soldiers during its Arbaeen procession in Abuja in which scores were allegedly killed by security last week. The incident had attracted wide condemnation locally and internationally. In a statement on Sunday, the group listed 34 names of those it accused soldiers of murdering, saying it would update the list to accommodate names of death that are yet to be identified. According to the group, most of the dead were buried in Zaria, Kaduna state, while family members claimed the bodies of others.